Labor disputes with management of Israel Railways have prompted workers to announce strike set for Sunday and onward. 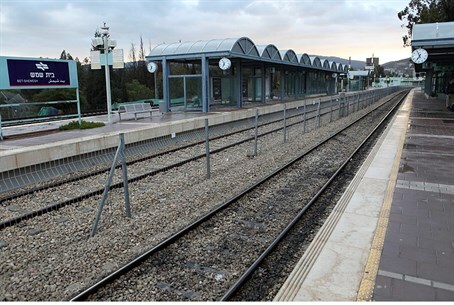 The Israel Railways workers committee announced on Thursday that all operations would be shut down starting on Sunday. According to the committee, the strikes is a result of "the continuation of unilateral steps taken by management, as well as systematic violations of agreements [between management and workers]." The workers committee added that even though the management of Israel Railways had been warned of the workers' grievances, they chose to ignore them. Management, meanwhile, sent a statement condemning the workers' strike. "Israel Railways regrets the irresponsible behavior of the workers' committee at the expense of the citizens of Israel. All attempts by the management for dialogue with the committee were rejected, including meetings already planned with the committee." "It's unfortunate the workers committee failed to negotiate, make decisions or show leadership. The committee was offered a number of attractive offers, but internal disagreements prevented them from reaching a decision," the statement added.